Artistes who make a lasting imprint in the industry and the world are not an everyday sight. So, when one comes up, you grab all the information you can about him. Norah Jones is in that category. The top jazz artist of the 2000-2009 decade who has sold more records than any other female recording artist in America as of 2007 is an American singer, songwriter, pianist and actress. She made her debut into the music industry and stunned the world by sweeping the 8 Grammy awards she was nominated for in 2003, sharing with top stars like Michael Jackson and Carlos Santana, the record for most Grammys won in one year. Norah has sold more than 50 million records worldwide and has won nine Grammy Awards. She was 60th on Billboard magazine’s artists of the 2000–2009 decade chart. Her debut album, Come Away with Me was a cocktail of jazz, country music and pop. The album which was released in 2002 became commercially successfully and critically acclaimed, selling over 20 million copies worldwide and was certified Diamond. The Grammy Award winner has gone ahead to release other successful albums most of which gained Platinum status, selling over a million copies each. She made her film debut in My Blueberry Nights (2007). 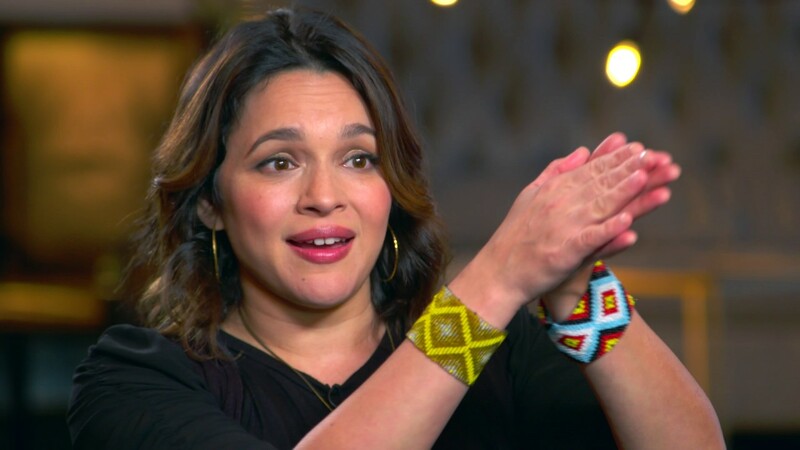 The Come Away with Me singer was born on March 30, 1979, as Geetaly Norah Jones Shankar in Bedford-Stuyvesant, New York City, in the USA. She got interested in music at an early age, closely watching her father play the sitar and was already singing in the church choir by age 5. Norah took piano and voice lessons to hone her musical skills. She officially changed her name to Norah Jones at 16 with her parents’ consent. Norah attended Colleyville Middle School and Grapevine High School from where she transferred to Booker T. Washington High School for the Performing and Visual Arts in Dallas where she sang in the school choir, participated in the band and also played the alto saxophone. She won the Down Beat’s Student Music Award for Best Jazz Vocalist (twice, 1996 and 1997) and Best Original Composition (1996). Norah grew up in Texas and went to the University of North Texas where she majored in jazz piano and sang with a band called Laszlo. She also attended Interlochen Center for the Arts during the summers. Two years into her college education, she decided it was not for her and left for New York’s Greenwich Village to write her own songs. There, she waited on tables and sang jazz standards in local clubs, often appearing with the funk-fusion band Wax Poetic. Norah later formed her own group, which included Jesse Harris -guitarist, Lee Alexander bassist and Dan Rieser – drummer and would later date Lee until 2007. In 2001, she signed with Blue Note Records and her debut album, Come Away With Me, which was produced by the illustrious Arif Mardin was released in 2002. The album won all eight awards for which it was nominated, with Jones receiving five awards (among which are Album of the Year and Best New Artist). The other three went to the producer, the album’s engineers and songwriter Jesse Harris for Don’t Know Why. The music star mentioned great jazz, soul and blues singers, including Etta James, Aretha Franklin, and Billie Holiday as her major influences. She had also spent hours listening to recordings of musicals such as Cats and West Side Story. Norah had said that she enjoys being part of a band rather than a solo career. Lately, she has been making music with her alternative country band, Puss n Boots which consists of herself, Sarah Dobson and Catherine Popper. They have been together since 2008 and took on the challenge of learning a new instrument for the band. The famous singer is not taken in by her many achievements and accolades but has managed to remain well-grounded, humble and down-to-earth. This, in addition to her superb musicianship, has continued to endear her to millions of fans around the world. Norah was born into the music family of Indian sitar virtuoso and composer Ravi Shankar and a nurse and concert promoter, Sue Jones. Her parents never got married and supposedly met during one of Ravi’s tours. Their relationship was short-lived, leaving Sue to raise their child whom she sacrificed to give every opportunity including piano lessons alone. Ravi, the godfather of world music was born on April 7, 1920. He became widely known for his association with the Beatles and other Western musicians. His close relationship with Harrison, the Beatles lead guitarist, shot him to global stardom in the 1960s. He was married twice in his lifetime; first was to fellow Indian musician Annapurna Devi who he was married to for about 20 years. His second marriage was to Sukanya Rajan. The sitar maestro and the most renowned Indian contemporary musician died a devoted Hindu, from pneumonia at 92, on December 11, 2012. His relationship with Norah was a complicated one. She saw him sporadically and spent only a fraction of her adolescence around him although she reunited with him when she was 18. After he died, his daughter Norah stated that his music indeed touched millions of lives and he would be greatly missed by herself and all other music lovers across the globe. Norah has two paternal half-siblings, Anoushka Shankar (from Ravi’s second marriage) and Shubhendra “Shubho” Shankar (from his first marriage). She collaborated with her half-sister on Anoushka’s album, Traces of You in 2013. Anoushka was born on June 1, 1981, in London and had her childhood divided between London and Delhi. She was deeply connected with her father through music, being his sitar heir that by 14, she was already touring the world with him. The sitar extraordinaire had his final musical performance with her in California. Norah’s other sibling, Shubho was born on March 30, 1942, and grew up to be a graphic artist and musician. After he learned sitar for a while from his mother, he left for the US with his father and majored as a graphic artist. He went back to music at the age of 40 following his father’s encouragement. Until the time of his death on September 15, 1992, he was married to his wife, Linda and they had two kids, Somnath and Kaveri. The nine-time Grammy Award winner is a mystery woman who keeps her personal life private, especially when it comes to her love life. We do know that she is married to a musician but his identity is yet to be revealed. They had a son in February 2014 and another child in 2016. She is doing a good job at keeping her family away from public scrutiny and has not revealed the names of her children either. Though she is active on social media, very little can be gleaned from there pertaining her family. According to her, she is just not interested in social media and her husband wishes to remain anonymous. Siblings: Anoushka Shankar (half-sister) and Shubhendra Shankar (half-brother). Albums: 6 Come Away with Me (2002), Feels Like Home (2004), Not Too Late (2007), The Fall (2009), Little Broken Hearts (2012), Day Breaks (2016)]. Awards: Grammy Awards, World Music Awards, Billboard Music Awards.